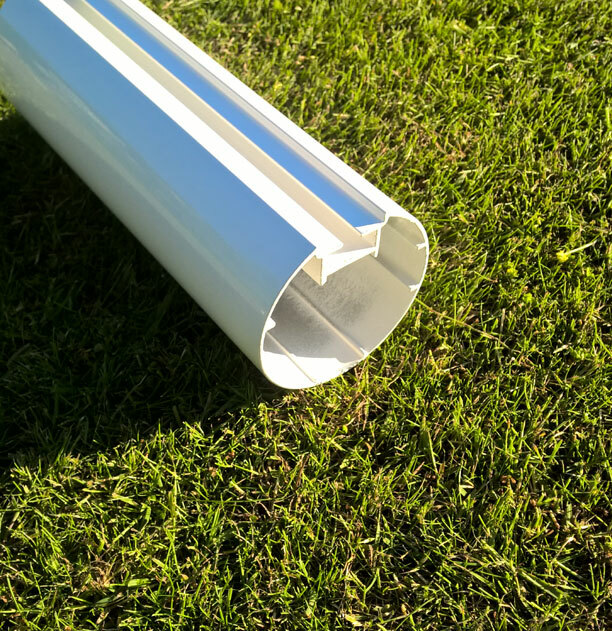 Folding Aluminium Goalpost – 21’X7′ with fully welded side frames – ITSA GOAL fold in patented goal posts are ideal when storage space is limited.They are strong, light weight, easy to move into position and easy to anchor. 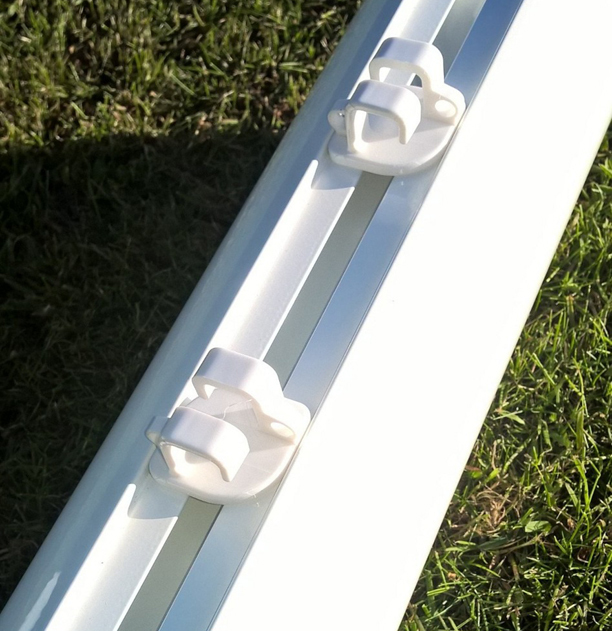 Made in 80mm O/D aluminium, professionally power coated white. 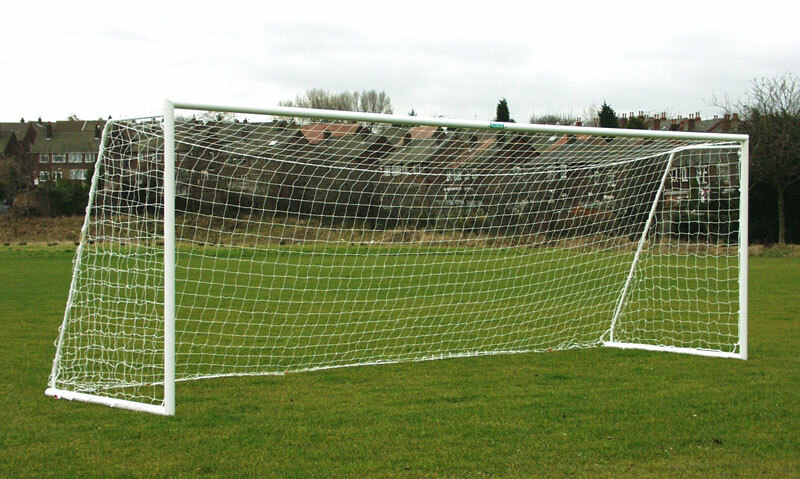 A safe stable match goal frame with sides that turn ninety degrees and lock in place during play. Likewise after the match the key holder can unlock the side frames fold them flush under the crossbar and lock them in the storage position until they are next required. Once locked the key holder knows the goal frame can not be used by anyone else, especially children, without his consent or knowledge. 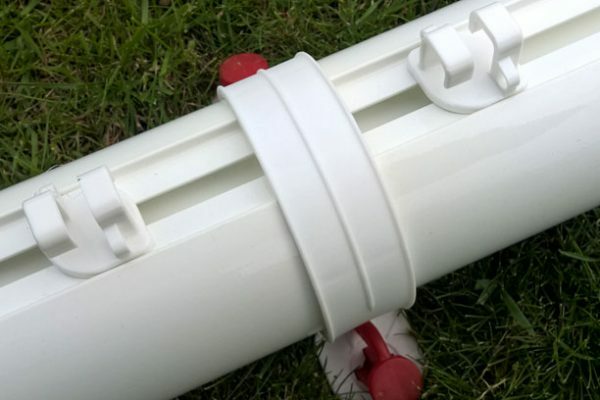 Supplied with quick easy to use multi-surface ground anchors. Easier and safer to use than frames with heavy steel net support stanchions or integrated counter balance back ground frames. 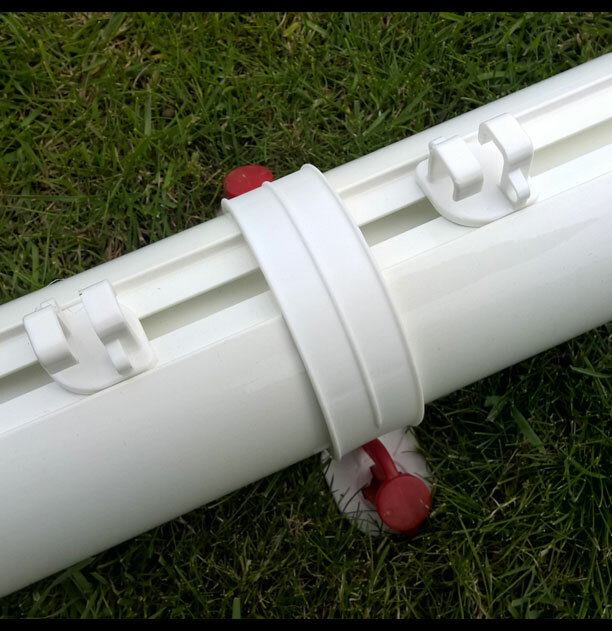 Recessed twist and lock net fixings are supplied and nets can be lifted on and off with ease. 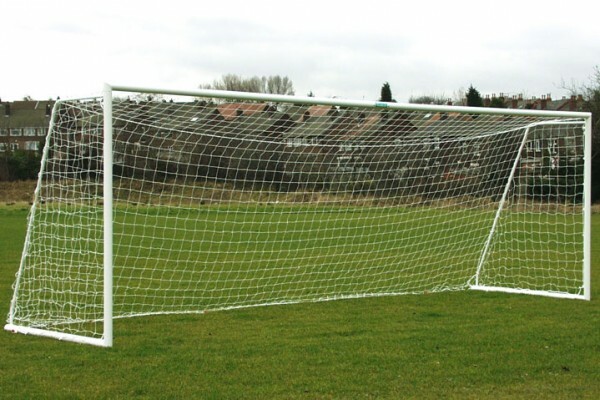 Goal nets can be left on the goal frame and carried out with the goal to the pitch intact for fast installation on match days (less than one minute). With no unsightly nets pulled around the front of the posts damaging paintwork the goal posts perform better and look more professional. 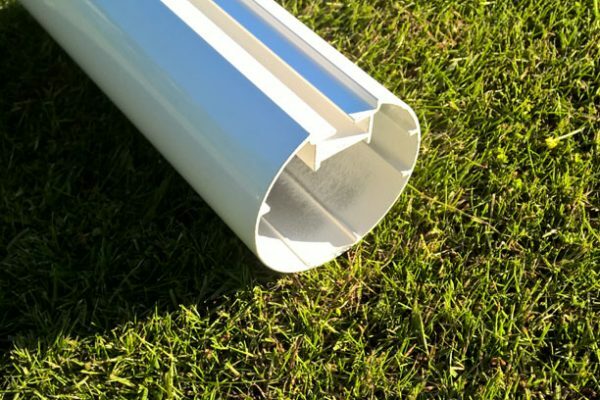 The whole frame of the goal is made in strong lightweight aluminum and is rust free. No nuts and bolts are needed as is the case with all other manufacturers designs with separate heavy steel net support stanchions that need bolting in place and constantly re tightening. 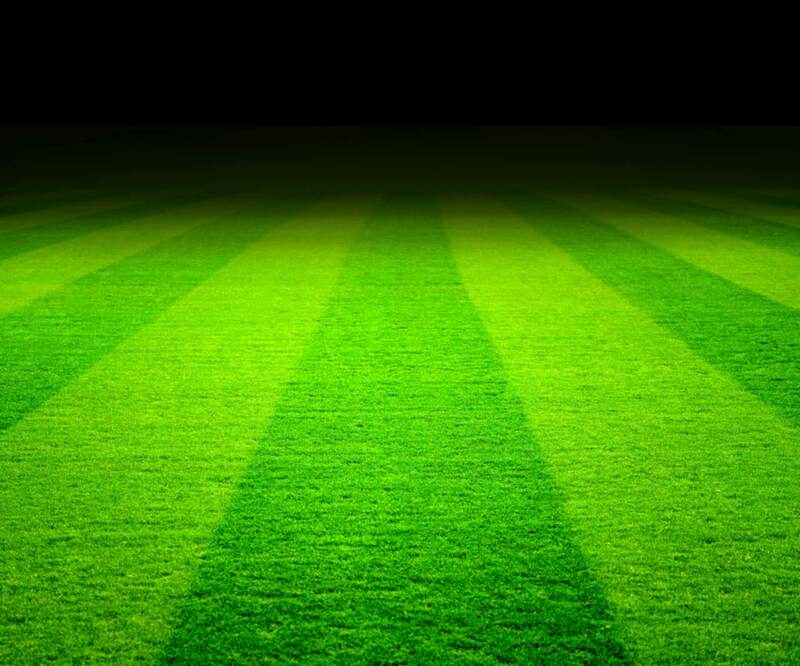 Versatile counter balance options are available if required for use on Artificial grass surfaces. Counter balance weights can be slotted inside the rear ground frame(available separately) or externally over the ground frame when being moved around. The only goal posts that offer this unique feature. 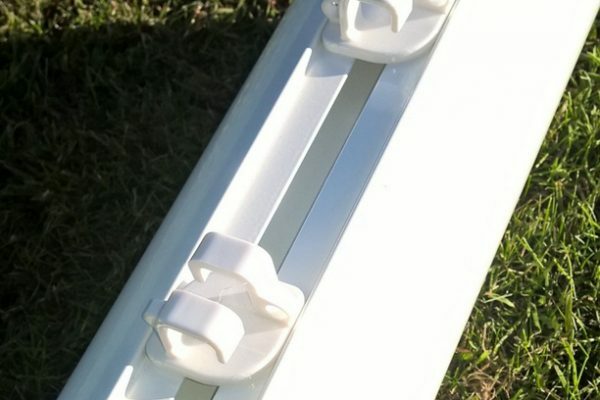 The best on line price for this Folding Football Goals 21×7 is currently at www.soccertackle.com.